Banana Oat Muffins are a great ‘make-ahead’ treat to pack in with your lunch; enjoy as a quick breakfast snack or have with a cuppa tea. 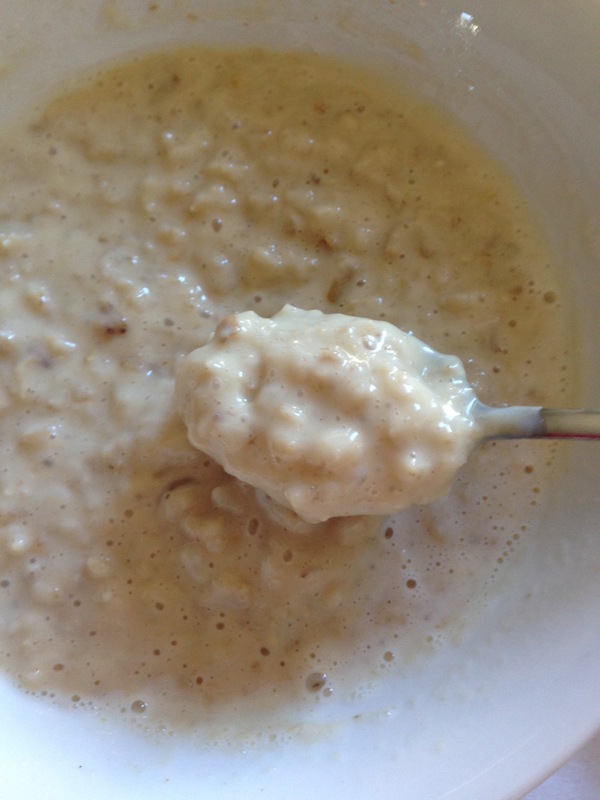 In a bowl, combine 1 cup rolled oats and 1/4 cup oat bran with the 1/2 cup milk and 1/2 cup yogurt. Let sit for 10 minutes. Line muffin tray with paper cups or grease with coconut oil/butter/spray&cook. To make Oat Flour: Place 1 1/2 cup oats into a food processor & blitz until it becomes a powder. Transfer flour to another bowl and add the cinnamon, nutmeg, salt, xylitol, baking powder and baking soda. Chop up the bananas into smaller chunks and add to the food processor along with the egg and blitz until a smooth consistency. Add the milk & yogurt soaked oats, banana & egg mixture and coconut oil to the oat flour bowl and mix well. Spoon the mixture into the muffin cups about 2/3 full (they rise a little). Bake at 180C for 30-35 minutes but check from 20 minutes by stabbing them with a cake tester. They freeze really well and still taste great once defrosted so they’re the perfect meal prep treat.